Playoff action is heating up in the 2016 Major League Baseball season, so how about a game that simulates the regular season that was? 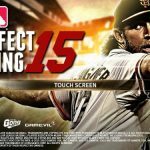 9 Innings: 2016 Pro Baseball is an Android and iOS baseball simulator from Com2uS, and its main selling point, for those who prefer actual lineups and players, is that it’s officially licensed by the MLBPA. You can play as any one of the real-life MLB teams available, and you can take advantage of Com2uS’ own player card system, which uses the photos and stats of more than 1,400 real-life players from all 30 teams. 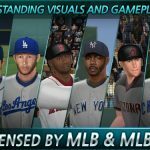 It’s the “greatest baseball simulation game ever,” and you can play in a variety of game modes, earning different types of currency and buying and selling players as you go along. 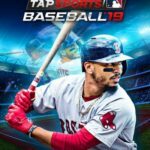 It’s not going to be easy to manage your team and take it all the way to glory, and succeed in most, if not all of the available game modes, which include Friendly, League, Home Run Derby, and Special modes. So how can you succeed in this game? We hope to answer that question, as we’ve got some 9 Innings: 2016 Pro Baseball tips and tricks for newbie managers. It may help if you’re familiar with MLB at the present and fancy yourself as a stats geek. But regardless whether you closely follow the baseball scene or not, you should take note that it’s the defensive aspect of the game – mainly your pitching – that’s going to be your best offense. When pitching, you should check the strengths of each player who comes to bat against you. Pitch to the outside corner if they’re listed as pull hitters, and pitch inside if they’re push hitters. You should also avoid the tendency to use the same pitch type, because the AI will catch on to that, and make the necessary adjustments. Typically, go for the pitches with the highest letter grade against certain players; remember as well that letter grades may vary depending on who’s at bat. Batting, of course, is also important, and you should play a certain way in order to throw off the opposing pitcher. Bat in such a way that the pitcher throws as many pitches as possible, as that’s going to weaken their throws and improve your chances of getting a base on balls, should you be unable to get a hit. In League Mode, you’ll be playing several consecutive games against the same team, so if you can wear out the pitchers by making them pitch too much to you, then you should be good to go. If the opposing pitcher is especially strong, your goal should be to get to the point when the opposing team is sending out relief pitchers. Regardless whether your pitcher’s stamina is low or merely getting there, you can go ahead and sub them out and send in a reliever if they’re no longer effective. Once again, we’re working on what we told you in the above tip – the more a pitcher throws to the batters, the more he’s going to get tired out easily. Know when to replace your starter, because you just might lose a big lead if the opposing batters take advantage of a tired and slumping pitcher. At some point in the game, you’re going to have a surplus of players in your lineup. 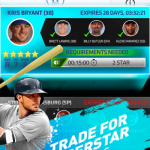 Sell the players you no longer need on the auction block, and see if you can attract a lot of bidders and get good value out of them. This will allow you to earn coins, which you can then use to purchase additional player packs, or buy better players when you’re trying to buy from the auctions. Just don’t go overboard when dumping players whom you think no longer need, because you’re going to need some backups should your starters get injured. 5. Should You Skip Innings Or Not? The game will allow you to skip innings or go to any specific inning in the game, with the AI handling whatever parts of the game you choose not to play. But there’s a bit of a caveat – the coin prize you earn per game will be lower if you play less innings. And as a bonus tip, you can also win bigger coin prizes if you do the fielding yourself, instead of leaving that aspect of defense to the AI. And this wraps up our guide for 9 Innings: 2016 Pro Baseball. If you know more tips and tricks for the game, please let us know below in the comment section!